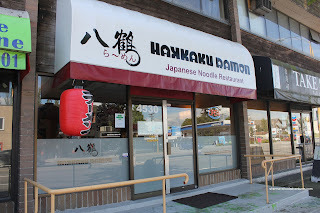 Originally, my first ever visit to Hakkaku Ramen came when it first opened its doors. I had met up with Karl and although the food was okay, there were some flaws. This was mostly due to the chewy and dry chashu. However, that was like in 2011 and the place is still there and in fact, doing fine. 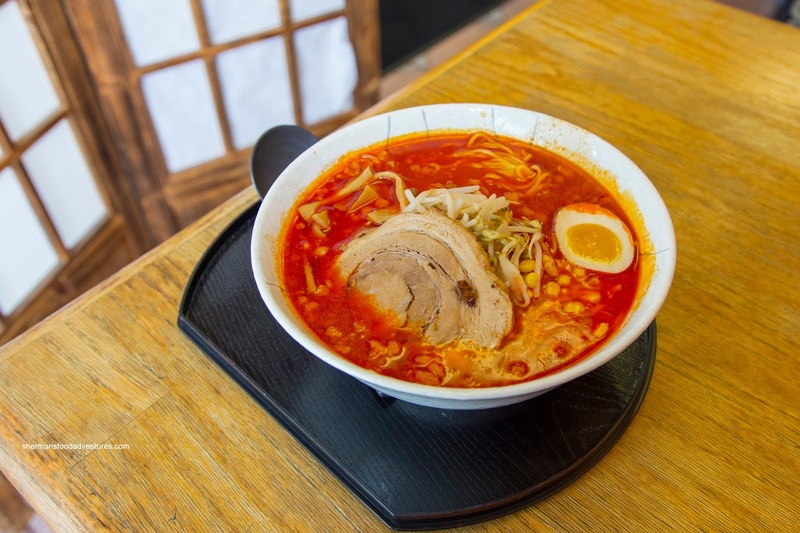 So either people are completely unaware of what makes good ramen or more likely, they have improved. With that in mind, I met Gordo for lunch one day and then came back with Milhouse on another. 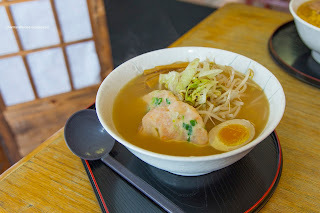 For my first revisit, I had the Shrimp Ramen which employed a shio broth. I didn't go for the heavy broth and hence, it was rather light and somewhat creamy. There were no fat floaties (as you would find in the full fat broth), so it didn't eat too rich. Although there was enough impact from the broth, it wasn't overly salty. As for the noodles, I found them to be on the softer side. Interestingly, I found the shrimp patties to be quite appealing with a sweet snap and butteriness. Gordo and on the subsequent visit, Milhouse both had the Miso Ramen with pork belly and full-fat broth. Yes, this was much richer and even creamier due to the fat content. I found the flavour to be mildy salty with the depth of miso and the nuttiness from the fat. Again, the noodles were rather soft. 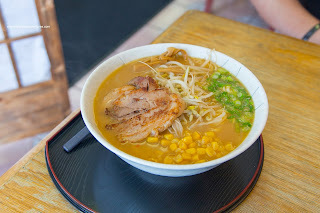 My second visit included the Hot Miso Ramen with pork belly and full fat broth. Again, this was rich and slightly greasy due to the fat content. It wasn't particularly spicy, even with the addition of more hot garlic pepper paste on the side. With that being said, the broth was still full of depth. Yes, the noodles were too soft for my liking once again. The slice of rolled pork belly was mostly moist and tender except for the meatier portion which was on the drier and chewier side. 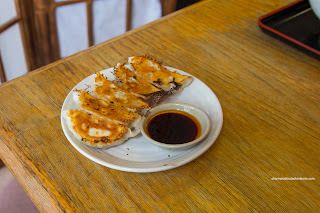 I also got a side of Gyoza and they were beautifully prepared with a uniformly crispy bottom. The dumpling skin was thin and tender while the filling was a nice mix of moist pork and cabbage. Milhouse was rather hungry and added a Chashu Don and Chashu Burger to his meal. 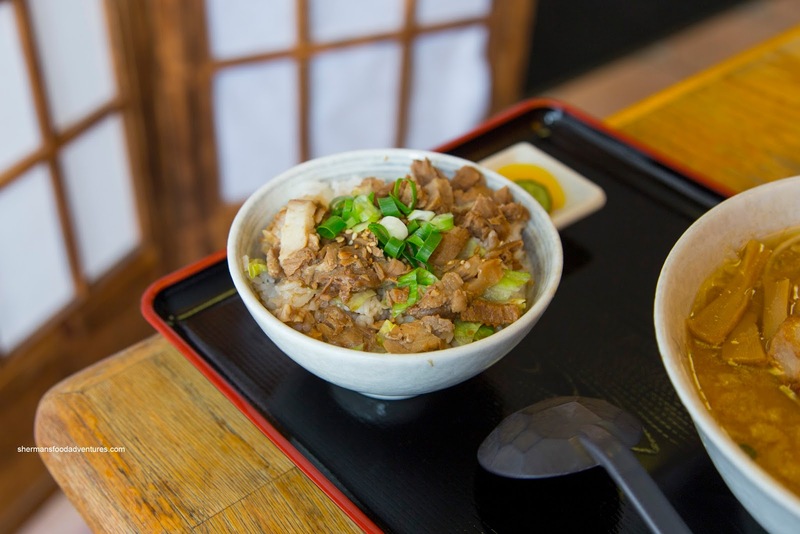 As expected, both were somewhat similar since they employed the same chashu. Hence, the meat had tender portions combined with some chewier parts. Flavourwise, there was a nice cooked pork essence while not being too salty. The rice in the don was chewy while not dry. 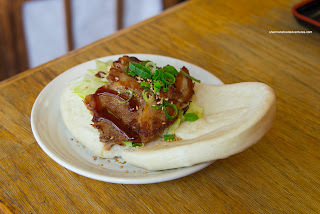 As for the bao, it was mostly soft except for the edges which were chewier. 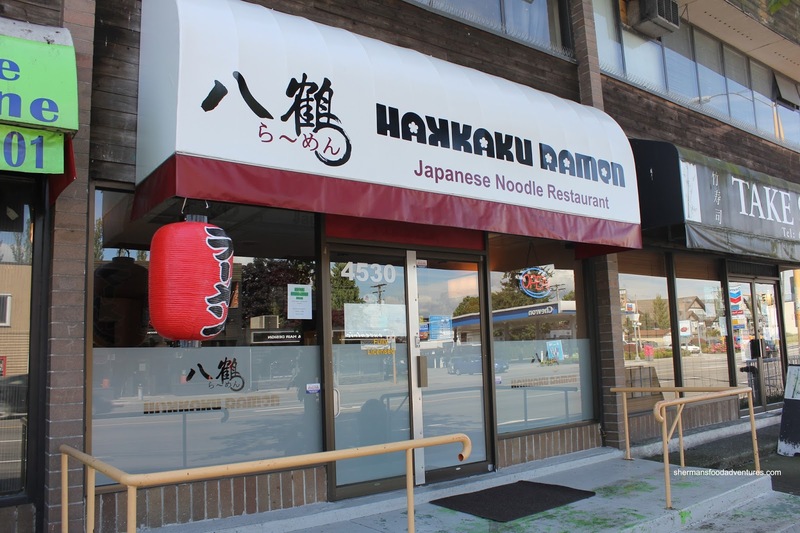 As you can see, there are still some deficiencies at Hakkaku Ramen, but really, the stuff was still decent especially for the area. They have to fix that soft noodle problem though. "Chasu Burger" ??? Waitaminit, are they copying Taiwanese Gua Bao ?? ?